I would like to eliminate that if possible. It was not there when I was doing frame and focus with subs up to 60 seconds long. Here is my imaging train: Skywatcher Pro 80mmED->Moonlight focuser->Skywatcher 0.85x reducer/corrector->spacers (to achieve correct backfocus of 55mm)->ZWO Manual Filter Wheel (Astrodon 1.25" Ha 5nm inside)->ASI 1600MM-Cool. I am pretty sure the backfocus from the reducer is correct to about +-0.5mm, and the camera sensor is as close to the Ha filter as possible with this setup. Any ideas? Edited by 2ghouls, 31 January 2017 - 11:18 AM. From what I have read, this is caused by the Anti-Reflective (AR) coating (or lack of) on the window of the ASI1600. Others will be along to correct me in this is incorrect. Only happens on really bright stars. 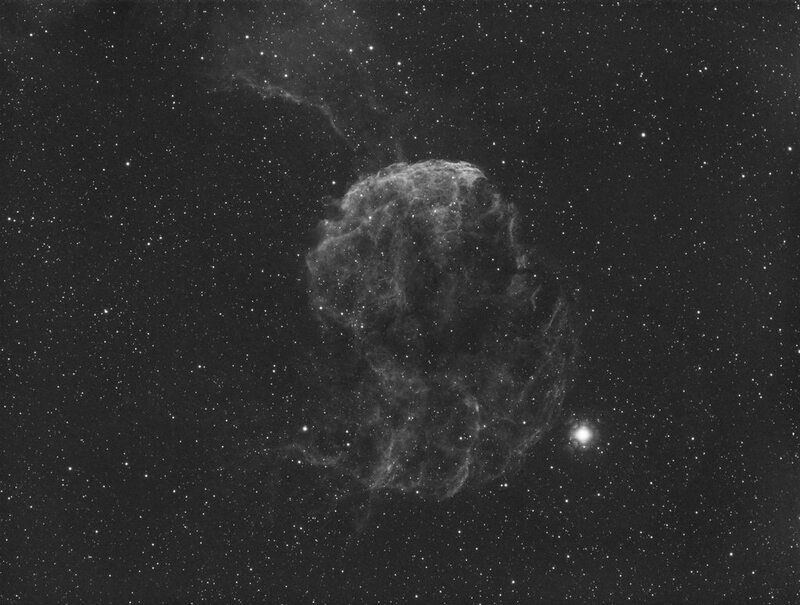 Also, I use the same camera (ASI1600MM-C) and when I shoot Ha using 0 gain the longest I can exposure for - for the ideal DN of ~500 - is 60 sec. How can you expose for 5 min without blowing out a lot of stars? This continues to confuse me? Especially seeing that you are using Unity gain? Edited by GeneralT001, 31 January 2017 - 11:35 AM. This is actually due to microlens diffraction reflecting off the sensor cover glass. The coverglass is not multicoated, so it will reflect. Nothing you can do about it, though. Just a trait of the camera. Yup. I expect its only a matter of time before someone invents a plug-in for non ASI1600MM users to simulate it on bright stars, like diffraction spikes. So for now, wear it with pride. I probably am blowing out a lot of stars. I started at unity gain and five minute subs fairly arbitrarily just to set a baseline that I could then make adjustments from. 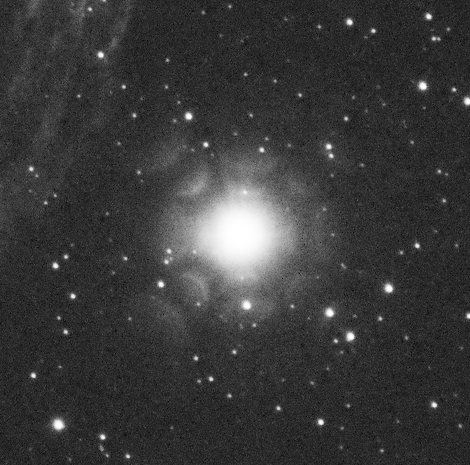 This is literally first light, so I am not sure how much star color I will have once I capture other channels. How does a DN (digital number?) compare to an ADU (analog to digital unit)? Why 500? and is that the mean value across all pixels? and is that on a 14-bit or 16-bit scale? Are you using the image statistics window in SGP to figure the ideal DN? 500 seems to be the ideal DN to shoot for. This is the mean value measured for background brightness only though and it is a 16 bit value. Yes, I usually just use the readout in SGP as it is already 16 bit. You can use Pixinsight as well, but have to be sure you have it set to read 16 bit vice the native 12 bit of the ASI1600..
​Heres what he spoke about wrt exposure"
we will perform on signal information MUST be done on the true analog signal, or on electrons (e-). measuring data. If you have PixInsight, the BasicCCDParameters script will give you the right information in pretty short order. signal level (5/100 = 0.05). Pretty simple. Not always attainable, but I'll get into that in a moment. Again using Dan's data, he specified his read noise as 1.388e-. Following the 20x rule, you would want a background sky level of 20*1.388, or 27.76e-, or 28e- rounded. 28e- background sky signal into 16-bit DN. The gain here is 0.488, and the 12-bit t 16-bit conversion factor is 16: BSkyDN = BSkySignal / Gain * SF = 28/0.488*16 = 57.38 ADU * 16 = 918 DN. (In SGP, you would want to be measuring a median background level of around 918 DN (16-bit)). judgement to determine what is an acceptable balance between exposure length and too much clipping. to 20x the read noise. You may have to accept a compromise, something like 10-15x instead." Edited by GeneralT001, 31 January 2017 - 01:33 PM. Just a trait of the camera. I understand this this is the prevailing theory and it makes sense. It is also a well-known trait of some KAF-8300 cameras as well. However, I don't think we understand the full story. I have a KAF-8300 camera (QHY9) and a recently acquired QHY163M which has the same sensor as the ASI1600MM. After two years or so of using the KAF-8300 camera in both narrowband and LRGB, I have never seen those artifacts. Last night, I got my first change to use the QHY163M on M45 and it did not show the artifacts. Other users of KAF-8300 cameras have not had the problem. I just took a quick browse through Astrobin, searching on images with the ASI1600MM and could not find the artifacts in most of the images. So it seems to happen to some setups and not others. So, I think the jury is still out on what causes the artifacts. I'm wondering if maybe a slight bit of moisture on the window may be causing it, as I noticed this on my ASI1600 - and then it went away as the moisture eventually left? I understand this this is the prevailing theory and it makes sense. It is also a well-known trait of some KAF-8300 cameras as well. However, I don't think we understand the full story. I have a KAF-8300 camera (QHY9) and a recently acquired QHY163M which has the same sensor as the ASI1600MM. After two years or so of using the KAF-8300 camera in both narrowband and LRGB, I have never seen those artifacts. Last night, I got my first change to use the QHY163M on M45 and it did not show the artifacts. However, it is certainly an valid point to ask why some setups definitely show the issue while others apparently don't. Certainly it's only the very brightest stars that show the problem. Edited by sharkmelley, 31 January 2017 - 06:36 PM. I just went back and examined some of my QHY163M subs of M45 last night and saw no evidence at all of the artifacts. I suspect that the artifacts are indeed reflections off of the microlenses, but I don't think the reflections are being bounced off of the sensor cover glass. If that was the case, everyone would experience it. My suspicion is that it is reflecting off of the filter back. That would explain why some experience it and others don't since filter to sensor spacing ill be different. So is there any rule of thumb for this, ie the closer camera is too filter then less reflections? The imaging filters are too far away from the sensor for their reflections to generate the geometry being seen. However it doesn't explain the cases where the diffraction pattern does not appear. Maybe it is a combination of focal length, F-ratio and passband of the imaging filter. For the diffraction pattern to be created it requires an area containing many microlenses to be illuminated very brightly. If the reflections are off of the sensor cover glass, I believe that they should happen independently of focal length or ratio since the geometry between the microlenses and the cover glass never changes. It's a mystery to be sure. I was thinking it maybe the field flatner is buying a quad and see what happens! Well, I think it is a combination of f-ration and aperture. I image at f/4 with a 150mm aperture...which is pretty darn fast for stars, since all the light from the star is concentrated into a point (or effectively so). 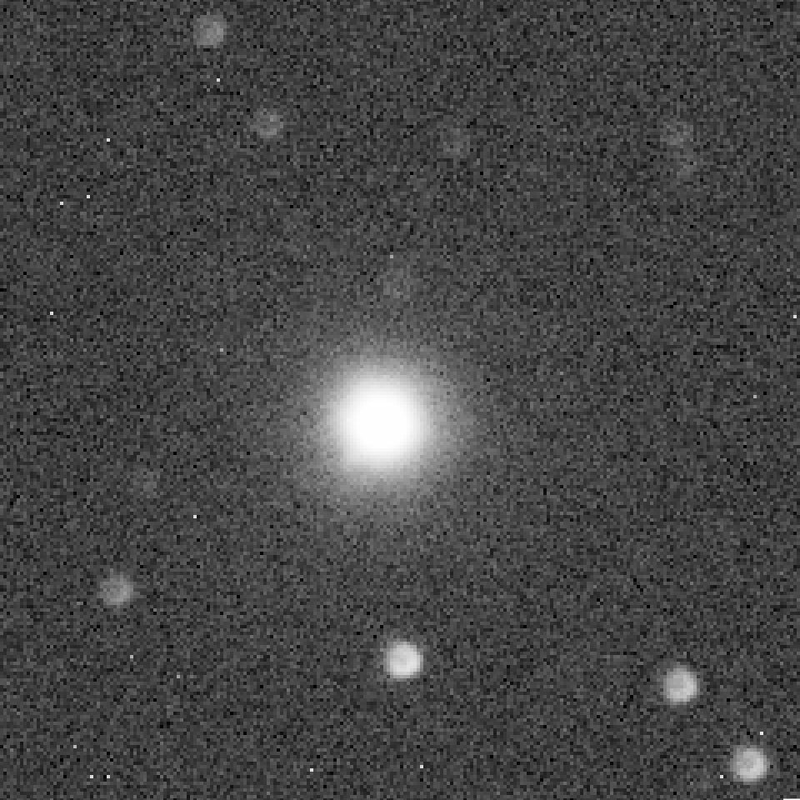 When I encounter a bright star, it is BRIGHT, and clips heavily within seconds, even with a 3nm narrow band filter. I suspect that makes me more succeptible to the issue than say someone who was using an f/6 80mm refractor. If a reflection of the cover glass is involved, which I believe it is, then it is definitely dependent on focal ratio. Those discs that surround the bright star are actually defocused images of the star, hence they are in the shape of the telescope aperture: a disc for a refractor or a disc with a hole for an SCT or Newtonian. The diameter of each disc is dependent on both F-ratio and the extra travel distance, since the extra travel is in effect the amount of star defocus. Focal length enters into it by determining the size of the star on the sensor. If the star is too tight then only a single microlens is hit by the star image and so a diffraction pattern cannot be created. A diffraction pattern relies on a group of microlenses being strongly illuminated coherently by the same star. Unfortunately the above theory doesn't explain why some people don't see the diffraction patterns. So the theory doesn't yet have complete predictive ability. One big unknown is the precise shape of each microlens - maybe they scatter light only within a restricted angle. My M45 first light with the QHY163M was with the FSQ106 and the f/3 reducer - so f/3 and 106mm of aperture, yet no microlens pattern. My longest exposures were 120s and the stars were heavily clipped, yet there is no evidence of the artifacts even after aggressive stretching of the areas where they should be. Those discs that surround the bright star are actually defocused images of the star, hence they are in the shape of the telescope aperture: a disc for a refractor or a disc with a hole for an SCT or Newtonian. The diameter of each disc is dependent on both F-ratio and the extra travel distance, since the extra travel is in effect the amount of star defocus. Note that they are very rough and have fairy extreme curvature. I'm not understanding where the image of the aperture is constructed. All that matters is that light is scattered from somewhere in each lens (or other element of the pixel or pixel array), and that light then interferes with that scattered similarly from other lenses. It then works as a 2D diffraction grating, the same process that gives rise to rainbow effects from CDs etc. To form a diffraction pattern in the suggested manner certainly requires the surface of each microlens to reflect light and not scatter it. A conclusive test requires images taken with 2 narrowband filters e.g. Ha and Oiii. Does the pattern spacing then change with wavelength as predicted by a diffraction model? Thank you for all the insights everyone. A few responses to things brought up that might help lead us in the right direction in determining why the pattern shows up with certain systems. I was not using any dew control on the camera, but plan to in the future, as I live in Delaware, which is a fairly humid state. Once I have this set up, I will try do comparisons. I was imaging with an 80mm f/7.5 refractor, and with the 0.85x reducer, the effective focal ratio was about f/6.3. Quite a bit slower than your system, but as GeneralT001 pointed out, I was clipping stars, so maybe I should try again with shorter subs and see if I can see the pattern still. I am pretty sure it wasn't visible at 60 seconds as I did my framing and focusing, but I can't be positive. You need to make sure both filters are perfectly focused, the OIII image is very out of focus and this spreads the light source over much more pixels and decreases intensity. Ah, that makes sense. I will try again too. Off-topic question: what would make the focus go off so much with just a filter change? I thought part of the reason the Astrodons were more expensive was that they were "parfocal" across their whole range of filters. If this is impossible to answer and comes down to user error, I accept that. 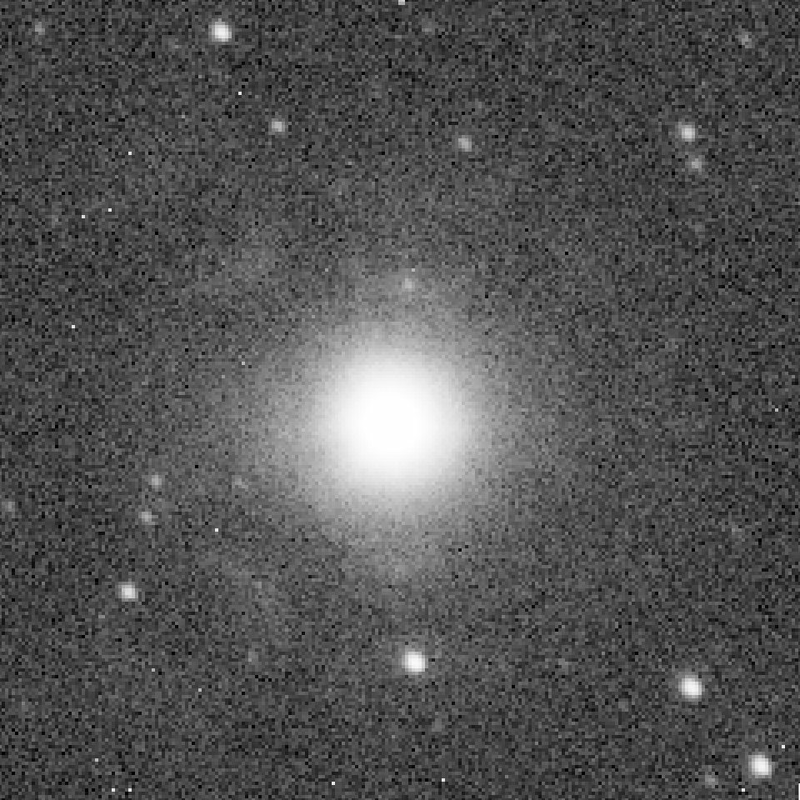 It's quite a bit of focus diference you have there, I'm not sure if the 5 vs 3nm are parfocal, but this should be due to chromatic error on your telescope as it's not a true apo (wavelenghts are focused on diferent positions), it gets a bit worse with the reducer that introduces a bit more of chromatic error...heck even true apo's have some residual color error so...I know I love my little ED80, hard to beat to cost / performance ratio so just make sure you refocus between filters, no biggie with a Bathinov mask.